Radeon Software Crimson is a seriously slick program ready to go toe-to-toe with Nvidia’s vaunted GeForce Experience. Check out the details here. It’s the end of an era. Catalyst Control Center, Radeon’s software hub since the ol’ ATI days, is finally being laid to rest by AMD’s newly founded Radeon Technologies Group. But don’t shed tears over the loss! Catalyst’s been ho-hum, drab, and overly complicated for years now. 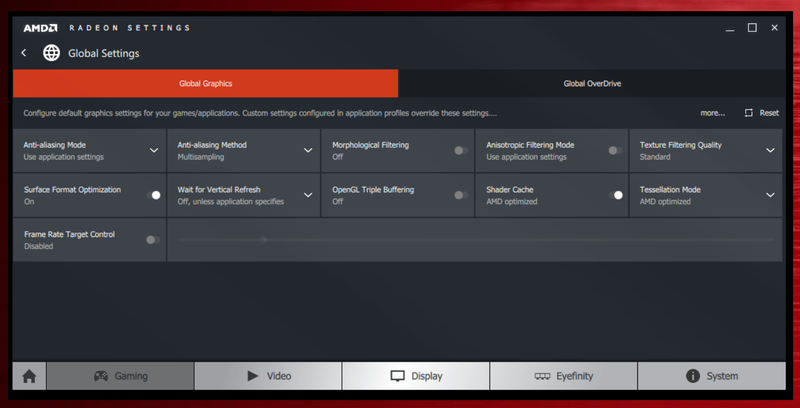 Rising from its ashes is Radeon Software Crimson, spearheaded by the new Radeon Settings interface—a seriously slick piece of software ready to go toe-to-toe with Nvidia’s vaunted GeForce Experience, buoyed by interesting new features like per-game overclocking and one-click Eyefinity configuration. 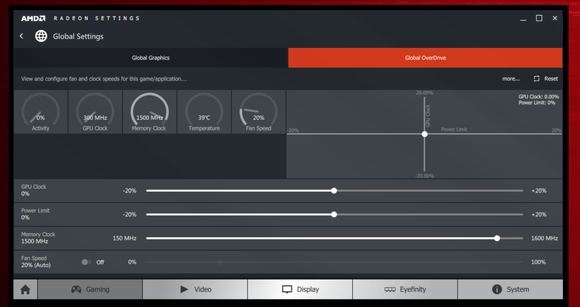 Radeon Settings is nothing short of a complete reimagining of AMD’s software, rebuilt using the Qt software architecture and designed with a focus on speed, simplicity, and intuitiveness. Those goals certainly appear to have been achieved—AMD says Radeon Settings opens in 0.6 seconds versus Catalyst’s 8 seconds on an E-350 APU-based Windows 10 system. Alas, AMD didn’t provide journalists with a beta build of the software, as it won’t be ready until sometime before the holidays, so I can’t speak to it firsthand. Instead, let’s take a walk through Radeon Setting’s nooks and crannies via the scads of screenshots AMD provided. That way, you can judge for yourself whether AMD’s self-proclaimed pursuit of simplicity and intuitiveness paid off. Before we dive, let’s discuss about the Radeon Software Crimson name for a brief moment. “Crimson” doesn’t replace Catalyst; “Radeon Software” does. “Crimson” is the name for the major 2015/2016 release of Radeon Software, similar to how last year’s was dubbed Omega. Periodic driver updates—AMD hopes to push about six WHQL-certified drivers per year going forward, not tied to an email registration, though it promises more details in coming weeks—will be designated by a “year.month” date stamp. 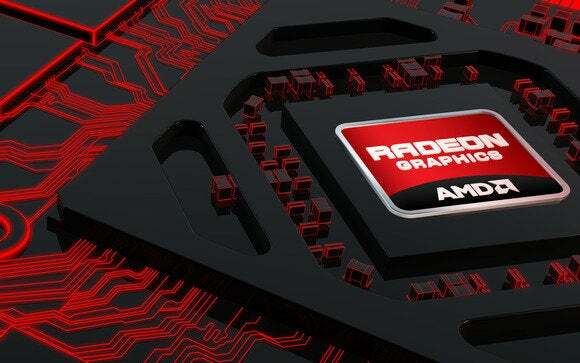 So a driver released next February would be named Radeon Software Crimson 02.16. Each major yearly update will be christened with a new name revolving around a red hue—Radeon Software Burgandy being an example provided by AMD. But enough about naming conventions. Here’s what Radeon Settings looks like when you open it up. Click on the image to enlarge it if need be. As you can see, it’s built around several straightforward sections: Gaming, video, display, Eyefinity, and system info reside across a bar at the top, while information about preferences, notifications from AMD, and available updates gather at the bottom. The large central section will house promotional ads for new games and AMD hardware, just like the splash area in the current Catalyst Control Center, though AMD also hopes to embed Twitch streams of big events in there as well. Clicking the Gaming tab reveals an interface that displays all the games installed on your PC, as well as an option for global settings. While AMD’s optional, Raptr-powered Gaming Evolved app automatically optimizes your graphics options based on your hardware configuration at an in-game level, Radeon Software Crimson forces the changes at a deeper hardware level. In other words, the two programs perform two different tricks, and both will be available going forward. …and AMD’s longstanding OverDrive overclocking tools, which perform as before. Radeon Settings also lets you create individual graphics profiles for your games, so you can enable, say, specific anti-aliasing methods in certain games but not others. Individual game profiles are nothing new, but Crimson adds a very interesting twist: Unique OverDrive settings for individual games. If your graphics card can handle most games without breaking a sweat, but needs a little extra oomph to hit that sweet, sweet 60 frames per second on a particularly beefy title, you can now configure the game’s profile to kick in overclocking on that title alone, rather than universally. That’s hella cool, especially since some people are scared to overclock because increased heat can reduce the lifespan of a graphics card.